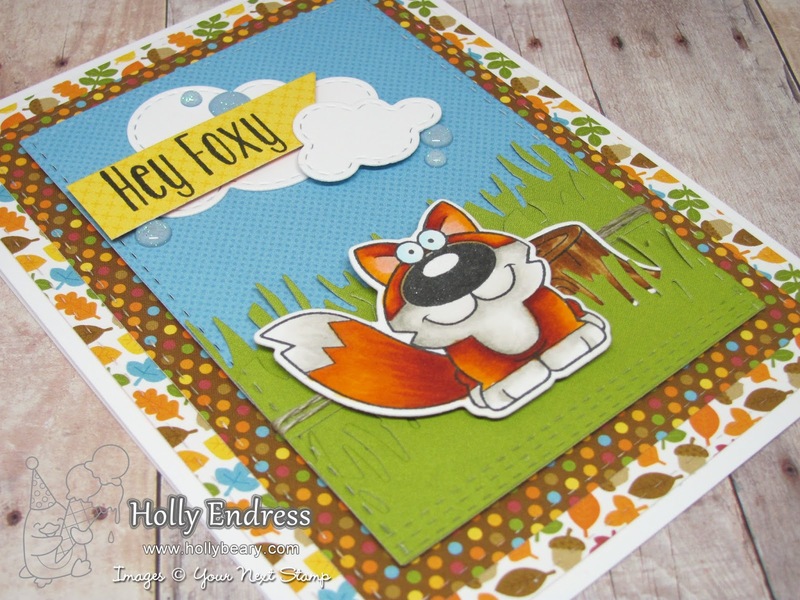 This month at Your Next Stamp our Design Team Dare is all about Fall Colors. Summer is officially over and Fall is slowly moving in. 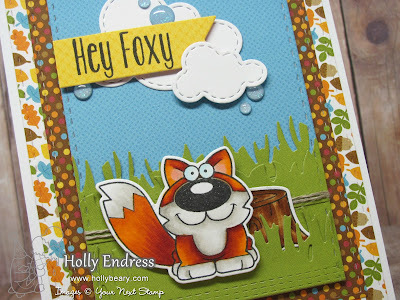 Join the Design Team for some great Fall Inspiration on the Your Next Stamp Blog. 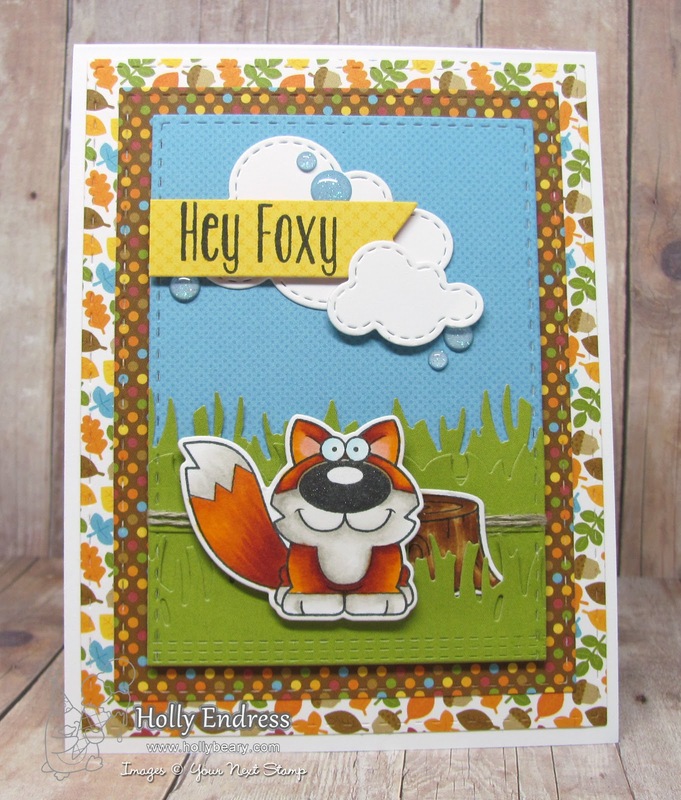 I'm using the super cute new set Funny Forest Critter Crew and coordinating die cuts. 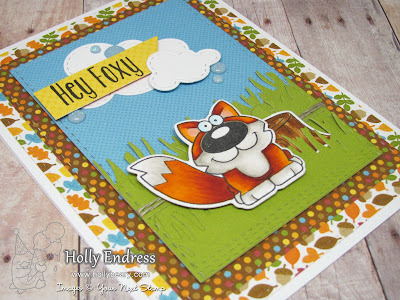 I used some fun pattern papers form the Doodlebug Fall Friends pack and the Stitched Rectangle Dies to create the card. I also cut the Chunky Grass & Stitched Grass dies from some additional papers to create a scene. I stamped the images onto some White card stock and colored them in with Copics. 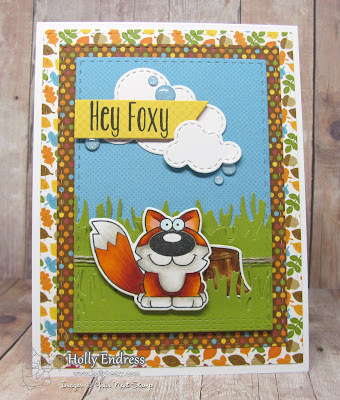 I adhered all the rectangle pieces to a White top folding card base and I added the fox and tree image with some foam tape. I die cut some of the Stitched Puffy Clouds and adhered those around the Sentiment that I stamped on to a Banner from the Cool Tag Three Die set. For an extra pop of Sparkle I added some Ice Ice Baby Sparkly Gumdrops around the Clouds and a little Clear Wink of Stella to the nose. Head over to the YNS Blog for more inspiration and a chance to Win a Stamp Set of your choice. So, so CUTE Holly. Great colouring also.